It's a busy time of year, and while there's much to recommend digital schedule-keeping, many of us prefer something we can actually touch. Here are five creative twists on the the traditional calendar. It used to be that people relied on the seasons to measure the passage of time, but once the calendar came into common use—well, it stuck around. In recent years, though, many have chosen to go digital, transferring schedule-keeping to the online realm. But perhaps an equal number of us have chosen to stick with our traditional, tangible calendars. You can always buy a new one at the bookshop or stationery store, but since the appeal of a real calendar is that you can actually hold it in your hands, there’s poetic justice to the idea of making your own. Scroll down to see five DIY calendar projects to mimic or to inspire your very own design. 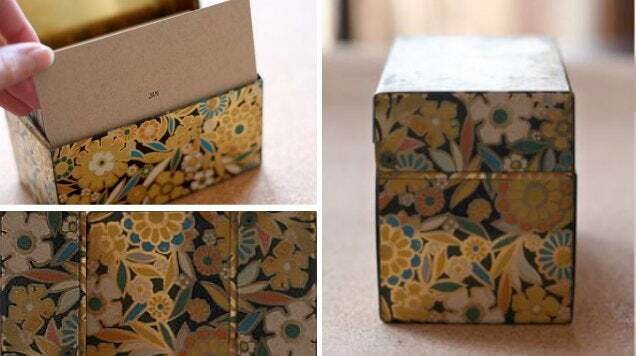 DIY decorators have made a darling out of washi tape, which is Japanese adhesive paper that not only goes on and peels off easily, but also comes in an endless array of designs. 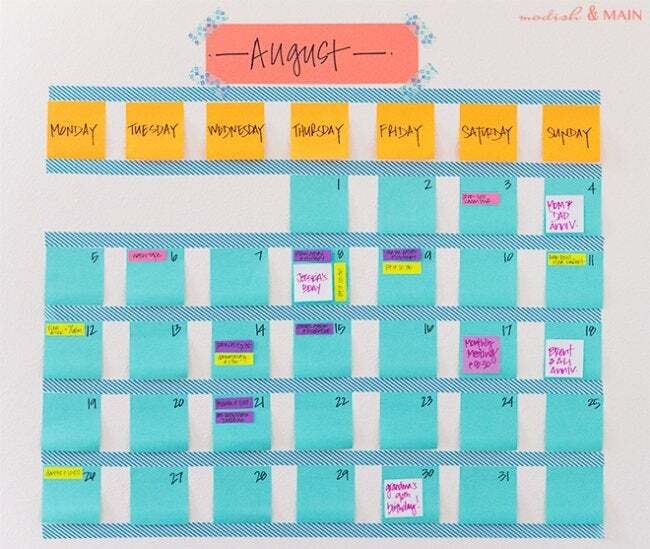 Use the tape to create a border for your DIY calendar, then fill the grid with colored post-it notes, one for each day, as Modish and Main cleverly did here. Plenty of non-energy-efficient vintage windows are homeless and looking for a second life. House by Hoff figure out that for a weekly calendar, a paned window lends itself extraordinary well to use in a DIY calendar. 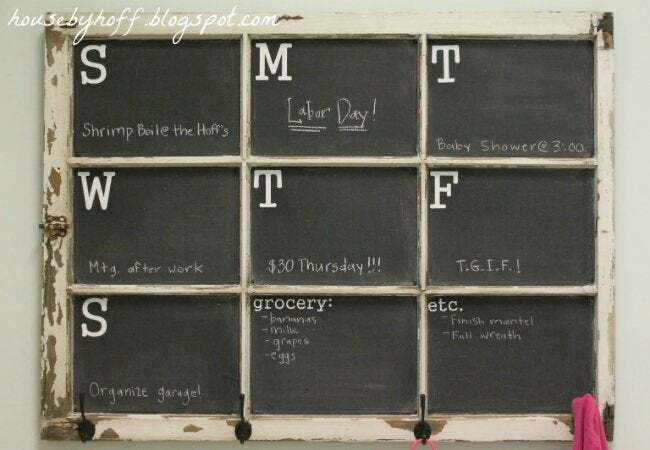 Simply chalkboard-paint the glazed portions of the window and use vinyl letters to define the different days. 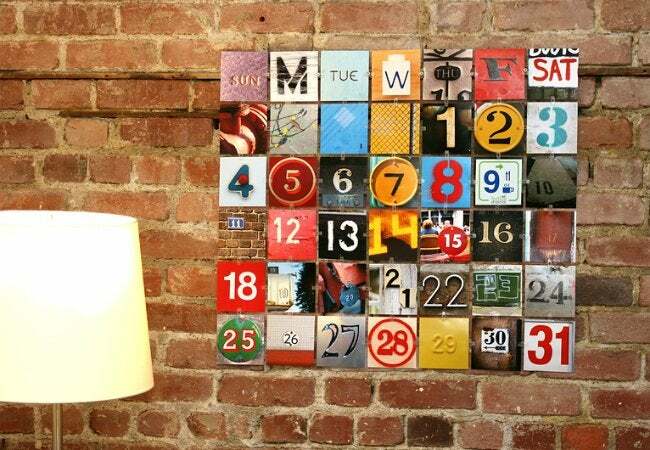 From Photojojo, here’s a DIY calendar perfect for any amateur photographers in the crowd. To get started, head outside and start snapping pictures of letters and numbers in your neighborhood. You’ll need 49 total: the numbers 1 through 31, a set of letters or words to represent the different days of the week, and 11 fillers. Paint a regular clipboard and hang it from a nail in your entry hall or home office. 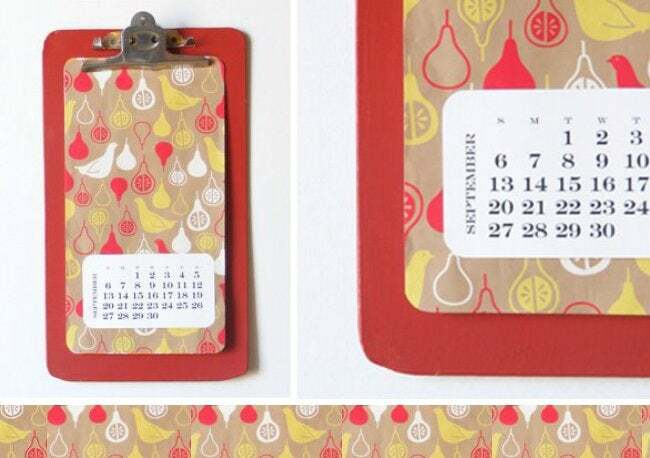 Swap in patterned paper and simple print-out calendar templates for each passing month. It’s a quick way to see your month at a glance. For details on the (readily available) materials needed to make your own, head on over to Jenna Rose Journal. Some people use calendars to organize and plan; others use calendars to remember dates and reflect. Designed for the latter, a DIY calendar journal provides space to record your daily activities so that you can revisit them fondly year after year. Wit and WhistleWit and Whistle shows how to create one using only index cards and a recipe box. , all you need to get started are a stack of index cards (365 of them) and an embellished recipe box for storage.